Today I want to introduce you Disney fans to something that will blow your mind...My Fantasy Bands. It's a totally fun way to dress up your Magic Band. Your Magic Band will be worn for pretty much the entire trip. I will probably only take mine off to shower and sleep. 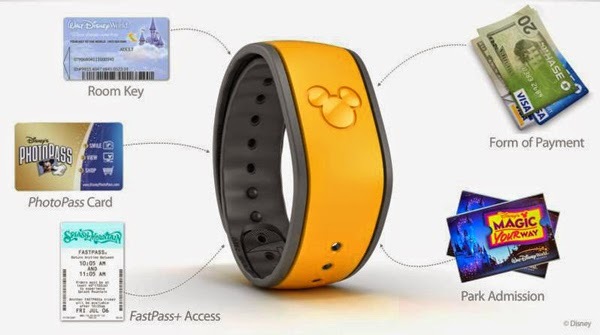 Here are the many uses of the Magic Band. As you can see, its going to be a big part of your trip. Disney allows guests staying in a Disney hotel to customize the color of your band before your trip. The bands are either delivered to your house or to your hotels front desk. 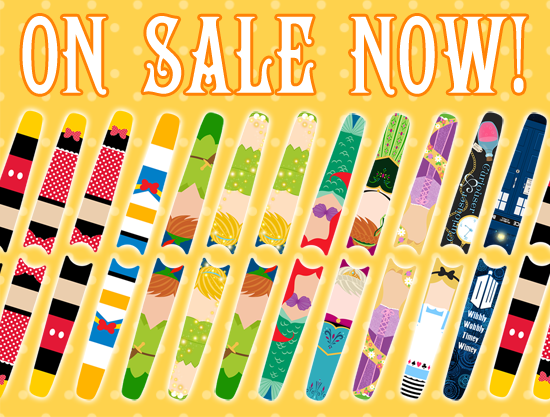 Why not take it a step further and have a super fun band that you can wear all during your trip? This is where My Fantasy Bands comes in. 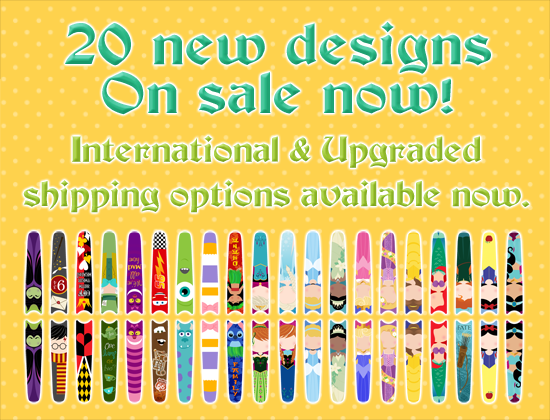 They offer lots of colorful and fun designs inspired by your favorite Disney characters. Fabric Covers can be bulky and rubber charms may pop off easily. Decals by My Fantasy Bands are an affordable way to decorate your wrist band. They are printed in full color and have an adhesive backing. They have a UV-blocking over laminate that gives the sticker a 3-5 year outdoor life! They are also water proof so you can wear them on water rides, in the pool and even in the shower! *They are completely adjustable for smaller adults wrists or kids sizes. *Find them on Facebook here and on Instagram here. They are always posting new designs, coupon codes, giveaways, etc. *They are super easy to put it. Check out the full tutorial here. It seriously takes like 30 seconds. I received my "Fantasy Bands" last week and I cannot wait to use them on our upcoming trip to Disney. I chose Minnie for me, Mickey for Joe and the Mermaid for Sally. I will be doing a full review when we get back from our trip.